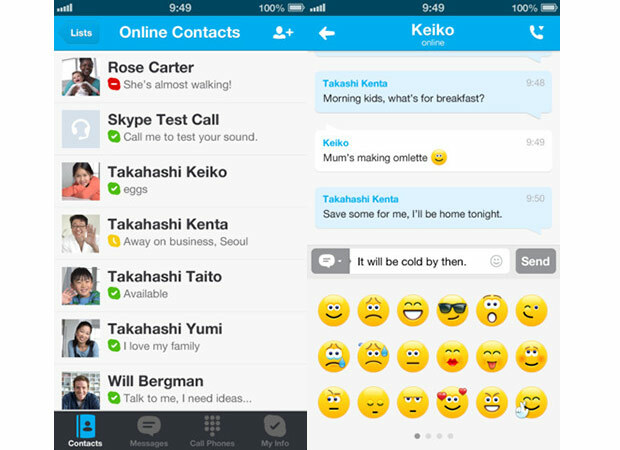 Skype has just released an update to its iOS app, bringing the requisite bug fixes along with some new functionality. Version 4.2 lets iPhone and iPad users merge their Microsoft accounts with the VoIP service, enabling calls and instant messaging with Messenger, Hotmail and Outlook contacts directly through Skype, catching up with the functionality available on the desktop version and Android. The update also adds IM editing via tapping and holding on text, plus an emoticon picker -- and animated smileys with support for Retina displays -- so you can express the joy that comes with streamlining your contacts.